A solid improvement over the first entry and the one that made this franchise really take off. It looks nicer, the control scheme is slightly less archaic, and this expansion of the last game's tech tree was popular enough that it feels like it's been copied to death. Still, rock-paper-scissors strategy with frantic clicking has never been my thing. 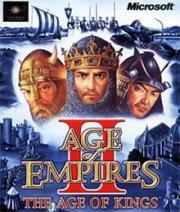 I'm not a huge fan of real-time strategy games, but this was one of the better ones. The units and factions were unique enough to make for some great replay value. My buddy was one of the top 20 players in the world, so maybe that has affected my ranking, but this baby is certainly a classic.